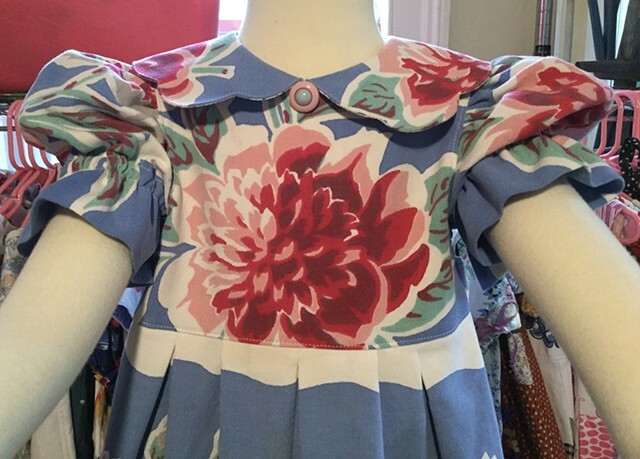 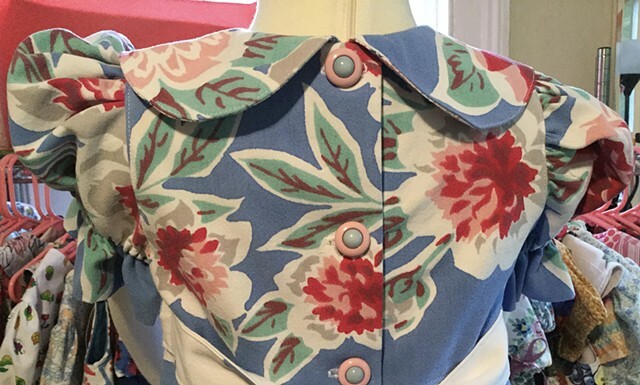 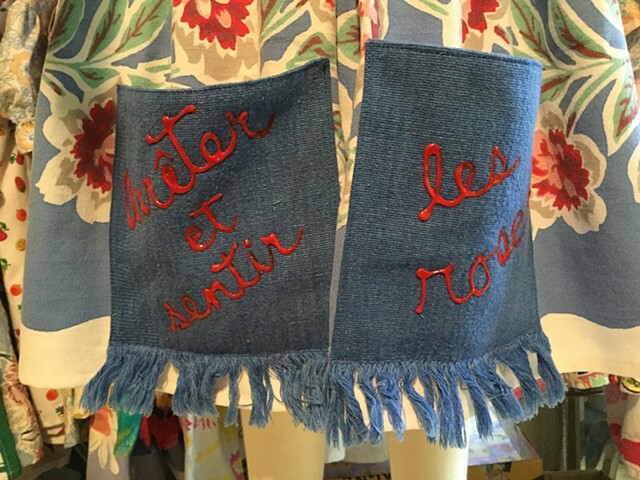 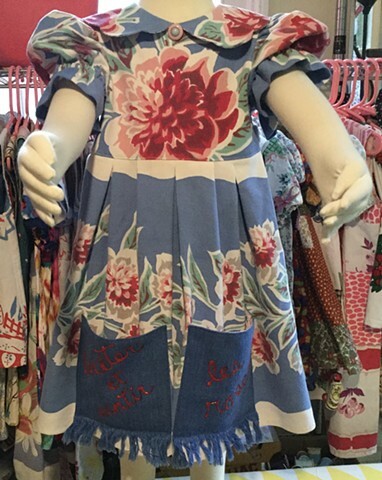 “Arrête et Sentir Les Roses” — French for “Stop and Smell the Roses.” Sized for 5-6 year old (K- 1st Grade), measures 24” armhole to armhole and 23” shoulder to hem, vintage picnic tablecloth becomes charming dress with vibrant floral design. 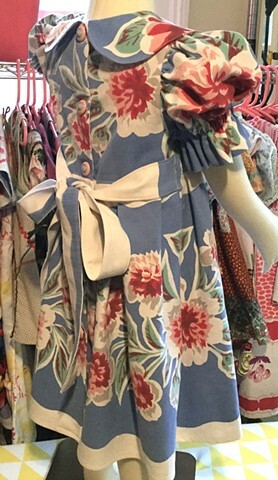 Generous pleated skirt with linen pockets (inscribed in fabric paint with the motto mentioned), big puff sleeves with elasticized ruffle, sweet petal-shaped collar, old-fashioned sash and pink-blue round buttons, opening all the way down the back for easy entry and exit. 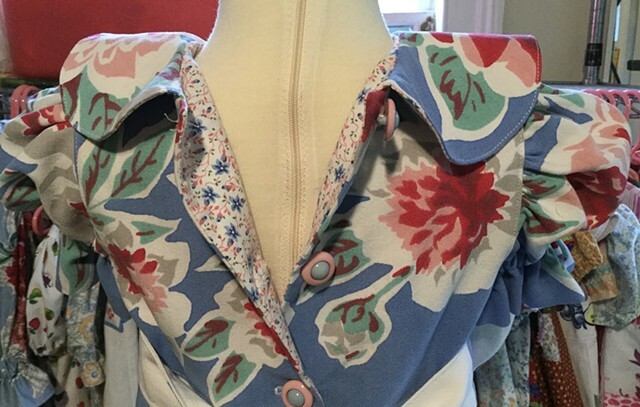 $90, 100% cotton, made by the designer herself and shipped free to any address in the U.S.